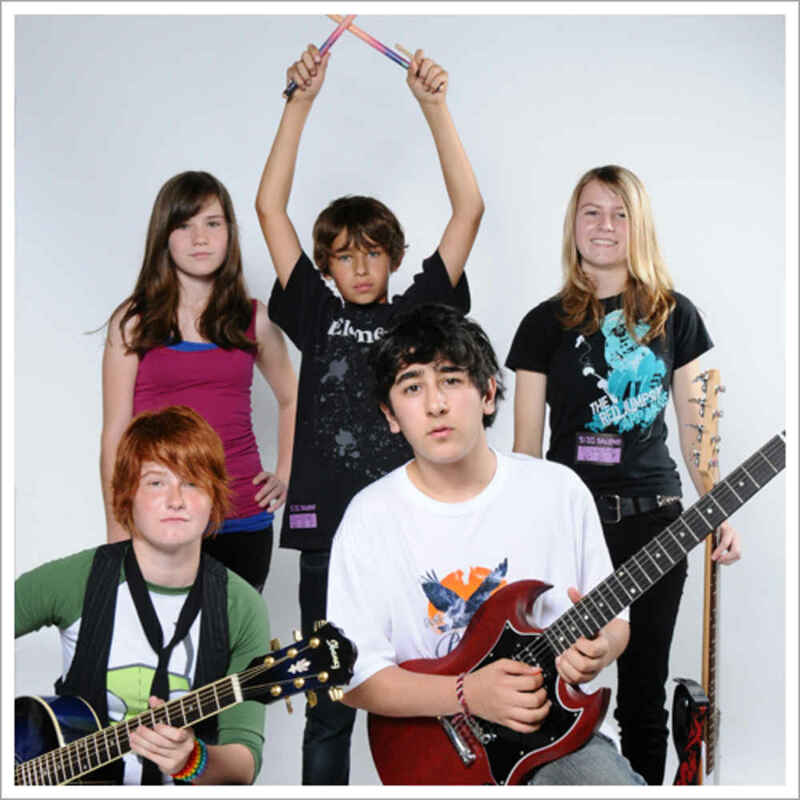 The special excitement about music training at Bach to Rock comes from students playing together in bands. Our professional band coaches work closely with students and direct and train the bands. 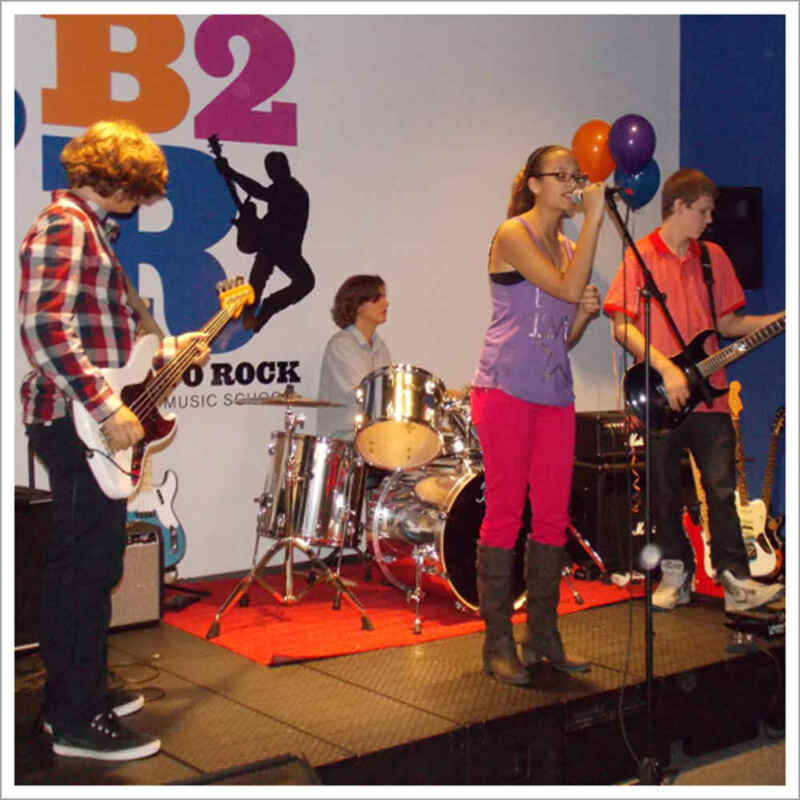 At B2R, students are placed in compatible bands according to their age and ability. Bands are usually made up of four to six players and a vocalist (who may also be one of the band’s instrumentalists). Like playing in a sports league, belonging to a band supports teamwork and positive social interaction. The achievement of mutual objectives during band lessons builds self-esteem, while the opportunity to perform in public at various B2R concerts and compete in Battles of the Bands brings peer recognition, encourages healthy competition, and results in a strong sense of personal accomplishment. Learning and playing music with one’s peers fosters lasting friendships among students, builds new connections between families, and provides a strong social incentive for students to continue to work together towards common, productive, and creative goals. B2R band members progress through four levels of achievement and receive formal recognition for their progress in the form of Red, Blue, Silver and Gold-Record plaques. Criteria are built into the band instruction program, and promotion is based on evaluation by the instructors. 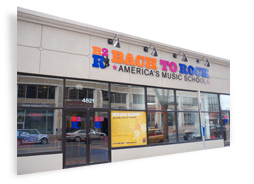 All students at Bach to Rock are strongly encouraged to join a band. Bands are formed at the beginning, intermediate, and advanced levels. Any student who has achieved basic proficiency on his/her instrument can join a band at the appropriate level. Beginners may form a band that will grow with their collective musical abilities. Band coaching is open to groups formed outside the school. Students taking private lessons elsewhere are welcome to join B2R bands.